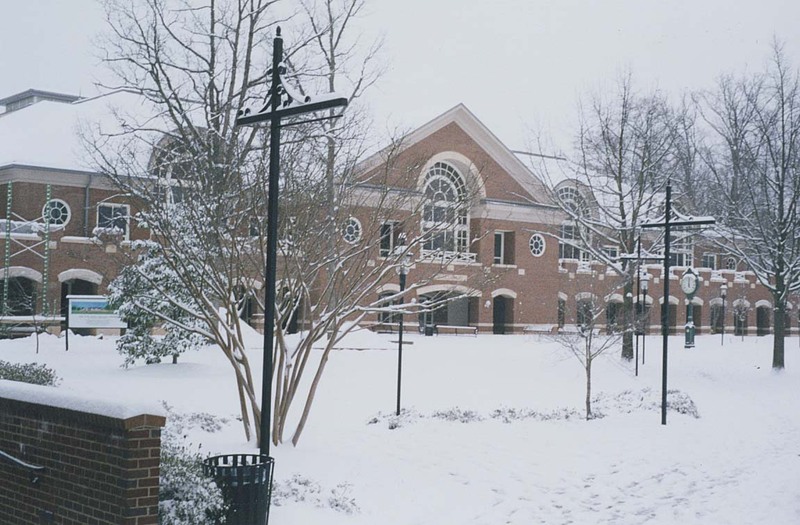 Belk Library, January 2000. Photo courtesy of Belk Library Archives. The groundbreaking ceremony for the Carol Grotnes Belk Library took place on March 11, 1998 and the 75,000 square-foot facility opened on January 31, 2000—making 2010 the 10 year anniversary of the building. With 158 computers, lots of comfy couches and chairs, and study rooms—Belk Library is almost always full of students and people from various departments on campus. Before Belk, the Iris Holt McEwen Library served Elon’s campus since 1968 providing students and faculty with primarily printed resources they needed for research. The McEwen Library did not have a large number of computers, and virtually had no online databases, journals, or books. 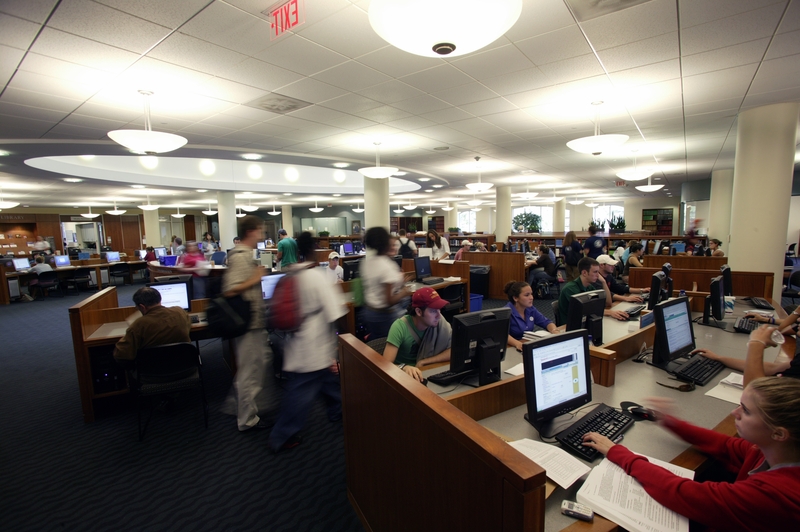 Today, Belk Library has over 180 online databases and thousands of electronic books. Belk Library Information Commons. Photo courtesy of University Relations. This entry was posted in Campus buildings. Bookmark the permalink.